With more than 1000 new domain extensions about to radically change the existing domain name system, the Trademark Clearinghouse (TMCH) provide trademark owners with a simple yet efficient way to monitor and safeguard their brands. In addition, it is the only means by which trademark owners can partake in designated Sunrise periods. 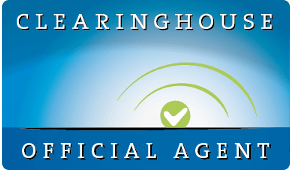 EuropeID is an approved agent with the Trademark Clearinghouse. If you decide to utilise our Managed Submissions Service, we will streamline the task of collecting, submitting and managing your trademark information to the TMCH, together with declaration of use and proof of use. We will further ensure the inclusion and management of all associated SMD files (for Sunrise) and labels. We will make certain your trademarks are validated by the TMCH, and will finally keep you posted on all forthcoming events thereafter. By decree, the release of each new gTLD will start with a Sunrise phase for trademark holders. Only trademarks filed and fully validated with the TMCH will be able to take part in Sunrise. Both during Sunrise and the General Availability period, third party registrants attempting to register a domain name which may infringe on your trademark rights will be alerted of the existence of your trademark prior to completing their registration. This will have a preventive impact and will act as an advantage in a potential dispute in the future. Why pick EuropeID for your TMCH submissions? Our Submission Service is completely managed. In most cases, you will not be required to provide any data or documentation (except for signing a declaration form). You will be assigned a committed account executive, who will handle every step of the validation process on your behalf. Trademarks can be submitted for the period of 1, 3 or 5 years. We provide discounts on multiple years/trademarks.